Combo comes with 35 lbs. 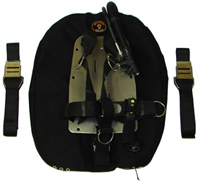 wing, tank bands, SS backplate with harness and FREE harness knife. Virtually indestructible. High quality Swiss RiRi zipper. 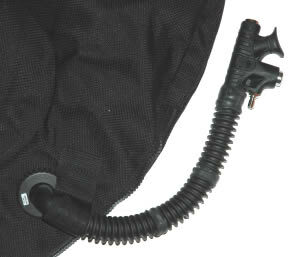 Two cam bands with stainless steel buckles and LP hose included. Two backplate attachment SS bolts and nuts are also included. Truly amazing wing! I logged over 200 dives on my friends Halcyon Infinity wing over 4 months while he was in the UK. The performance compared to ANY BCD was unmatched. I was turned on to Golem by a friend and I did extensive research on Scubaboard and elsewhere. I heard nothing but great reviews from very experienced tech divers so I decided to buy one. This wing outperforms Halcyon in ever possible aspect imaginable. It has rock solid construction, amazing trim, SS inflator hose, and absolutely no noticeable annoying air shift effecting trim. I am an Instructor and I dive 2-3 times a day so the Halcyon air shift used to drive me made when looking over my shoulder while guiding or teaching. Buy this wing with confidence and thank my later! Michael did bring up a great point about providing bent D-rings and serrated edges. Jakob if you read this you should really make that small change to an already superior product. Thanks Golem, I'm now a believer and a customer for life! What a wing! I have been diving with the Halcyon Infinity and Eclipse both of which I loved. However, the construction of the Golem wings in my opinion is superior quality at a far better price. The Cordura 2000 is practically indestructible and I love the fact that the movement of air around the wing is significantly minimised compared to other wings that I have tried. What a great Job you have done at Golem and I am really happy with the purchase. However, I did change the d-rings for the bent ones and also the tri-glides for the serrated edge ones which I feel offer better performance. I abandoned single tank diving because my old rig used a STA to mount tanks on to the backplate. This elevated the tank off the rig and, in the water, produced a keeling effect which tended to roll you on your back. With the built in STA the tank sits as close as possible to the backplate making feel more integrated than with the STA. So very happy with the combo , my first time diving with a BP / W It is hard to imagin any thing that could be improved ! 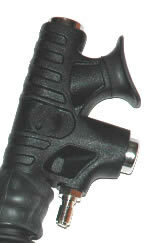 Selected over Dive Rite and Halcyon for quality, durability, and value. Very nice buoyancy device. No regret for choosing this one. I was newcomer & confused between jacket & backplate-wing. Thousand thanks to people from scubaboard for the advice. The package safely delivered to Singapore then I brought home to Indonesia. Thank you Jacub. If Halcyons iflator was this level of quality they might be worth the price. I design plastic and metal parts for aircraft. Am not easily impressed. Well done on this design. So much better than a back-inflate or jacket BCD. Probably the best in the business. Designed by divers for divers!